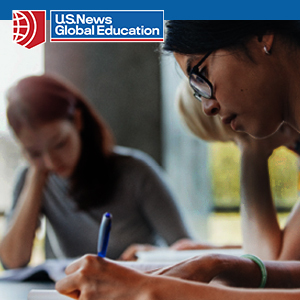 Many American students –and 90,000 international students—attend a community college for the first two years of university studies. With nearly 1,200 community colleges in the country, there are many benefits of this model in comparison to studying all four years at a university. Community colleges offer significantly lower tuition, smaller classes and strong student support. For students who plan to earn a bachelor’s degree, the transition from community college to the university for the final two years can be quite easy. This plan is popularly known as the “2 + 2 model.” A bachelor’s degree in the U.S.A. is a minimum of four years. In the end, the diploma will only list the university that awards the bachelor’s degree. 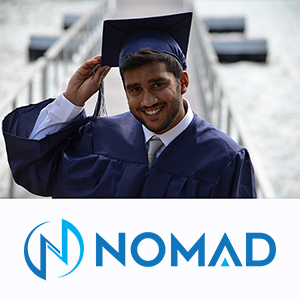 , enrolls 50,000 local students and more than 3,800 international students. Approximately 85 percent of the international students are planning to do the 2 + 2 model. In general, they choose to do either an Associate of Arts, Associate of Business or Associate of Science degree. Whether students choose to study the arts, sciences or business degree depends on what they want to “major” in – the “major” is the primary focus of their study in the final two years. During years one and two, students at universities or community colleges are studying “General Education” which includes a wide variety of humanities, social sciences, and natural science courses. In addition, students take some foundation courses to prepare for their major. They need to carefully select these courses with their academic advisor so that they are prepared to enter their major at year three. The Seattle Colleges has one of the largest enrollments of international students in the USA. They offer outstanding linkages with universities for students to easily transfer and complete the bachelor’s degree. The Seattle Colleges has articulation agreements with all of the universities in Washington State where Seattle is located, some of which are highly ranked. The University of Washington, for example, is a popular choice for many students with its Seattle, Bothell and Tacoma branches. One of the most successful initiatives for the Seattle Colleges to attract and support students is the Transfer Admission Guarantee (TAG) model. Currently, there are 15-20 TAGs, and several more are being negotiated. International students can choose from the universities listed on the Seattle Colleges application forms, and they will receive a letter from the university along with the Seattle Colleges admission documents. The university TAG letter is addressed to the student applicant and guarantees this student admission upon completing the Seattle Colleges’ Transfer Degree with a specific grade point average (GPA) along with occasionally a TOEFL requirement or specific coursework. The letter typically does not guarantee admission to the most competitive majors. The GPA required to guarantee transfer ranges from 2.0 to a 3.5 on a 4.0 scale. Parents and prospective students often ask how most international students perform, or in other words, how accessible is this 2.0-3.5 GPA? Of course, every student is different and is more or less prepared to study in higher education in the USA. We find the best students make use of our free tutoring services and make appointments with their instructor if they don’t understand something in class. The best students know that an American classroom is an interactive place and students are expected (and often graded) to participate actively in class. The bottom line: international students in the Seattle Colleges average a 3.4 GPA. So, yes, the GPA to attend all of the current TAG institutions is very attainable. TAG partnerships are created to provide students an opportunity to save money on our community college tuition and still transfer and graduate from a top-ranked university. Many community colleges host "transfer fairs" so their students can learn about opportunities to earn a terminal degree at a four-year university. These bachelor's degrees are essential for finding a job or entering post-graduate programs anywhere in the world. At these fairs, usually held in a school auditorium on campus, students have a great opportunity to talk to admissions representatives from prestigious universities around the country. Years ago, the Seattle Colleges decided to provide more partnerships and pathways for international students to transfer out of Washington State to places like California, Texas or New York. Seattle Colleges established International Transfer Fairs and began inviting out-of-state universities to come and recruit the outstanding international students in the District into years three and four at their universities. This program has grown tremendously in popularity and now more than 100 universities apply to come to the fairs. Several other community colleges in the region have joined so the fairs can draw even more universities to a multi-day event. Admissions representatives from many of the University of California and California State University schools (Berkeley, Davis, Santa Barbara, Northridge, San Francisco etc.) attend, as well as Rutgers, Columbia University, University of Wisconsin, and many others.